The Hotel has 174 comfortably furnished Classic rooms. (26 sqrmtr) All the rooms have a balcony. The main colors are the chocolate and beige to suggest the elegance and harmony. The furnishing has a private siluette. All the rooms have an individual sight. 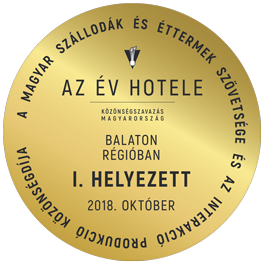 Most of them has a view to the Lake Balaton, with its special points, like the Tihany peninsula and the Abbey. Others can offer another landscape with the vineyards or the hills surrounding the town. We have 4 disabled room of this type. - It is suitable for the special specifications. Our Hotel can offer rooms for disabled people, too. Those are Classic Handicapped double rooms. 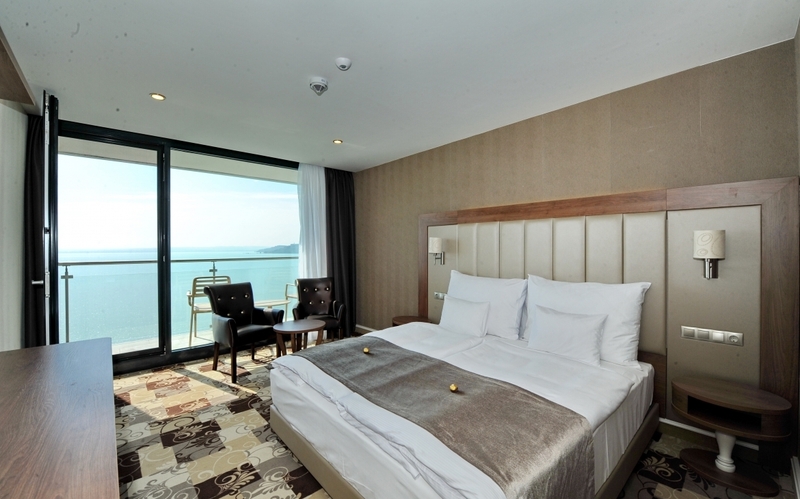 We can offer 4 handicapped - type rooms. Those who come with wheelchair can easily use our hotel, too. The bathrooms are designed to be conform the rule of living with hardness. These type of rooms have a connection pair right next to them, so if it is necessary, we can easily open them together. These rooms are designed to be comfortable and practical. We have 13 Junior suites. (52 sqrm) All of them have a balcony. They have a half - panoramic view to the Lake. All these suites have a kitchen and a dining area in the livingroom, and a separate bedroom. These rooms are suitable for 4 person in a time. Our Hotel can offer very comfortable places to big families, or friends to spend their time together in one suite. We have 6 Royal suites (78 sqmtr) for up to 6 person in one time. They have two separate bedrooms, bathrooms and a living room with a dining area and a kitchen. All these suites have a front - lake view, and a balcony. 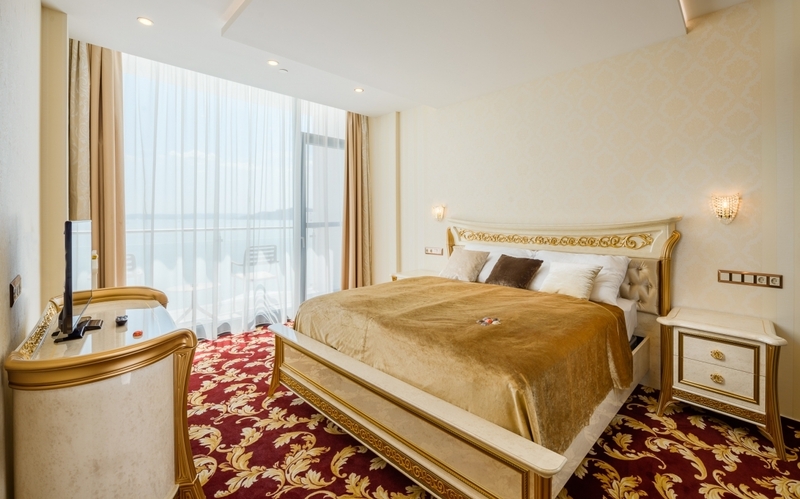 Hotel Füred**** Spa & Conference has 2 of this huge, and individually elegance furnished rooms. They are about 112 square meters big. They have a special design, and special furniture from Italy and a special offers in it, like the own kitchen, dishwasher, refrigerator which is fullfilled, a wine-stand with bottles you can drink as you like. These suites have own saunas in it, a wardrobe and UHD TV. 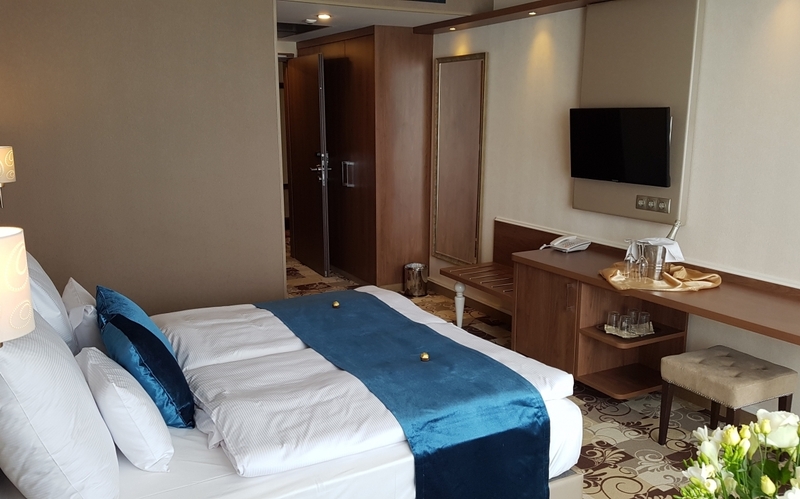 They are consist of three separate rooms, two bathrooms - suitable for up to 8 persons. All the balconies have a view to the Lake Balaton.